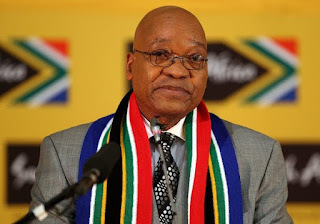 South Africa’s President, Jacob Zuma, has resigned from office with immediate effect. Zuma made the announcement in a televised address to the nation on Wednesday evening. Zuma has been in power since 2009, but his administration has been riddled with many allegations of corruption. On Tuesday, Ace Magashule, ANC’s secretary-general, told journalists that the national executive committee (NEC) decided that the removal should be “treated with urgency”.